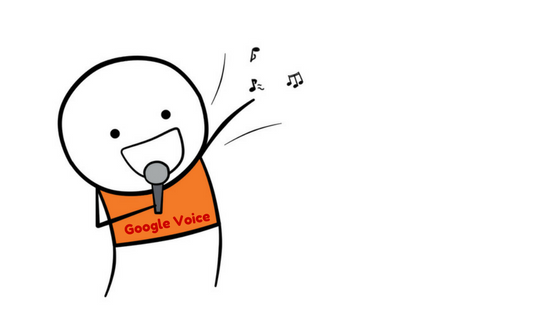 We weren't supposed to know that Google is close to releasing a major update for Google voice. Google hasn't done much with Google Voice and they axe services pretty often but they're sticking with this. Google is 100% committed to doing everything it can for what is now its biggest market...mobile users. Making sure your blogs and sites are mobile responsive. Targeting Google Voice searches by using more conversational language in your content. Making the experience on your site excellent for mobile users (Google rewards sites with longer retention times). Every time Google adds another feature or service increasing the usability for mobile users you benefit when you're following the guidelines above. And now you're got a head start early warning that another lift in mobile users on Google is likely to come. MAJOR CHANGE: Google's Mobile First Index! Most SEOs don't realize that Google is keeping two indexes of the web... a version that people see on desktops, and a version that people see on mobile devices. It is expected that Google will eventually ditch the desktop index, possibly this year, meaning it will judge what your site looks on mobile to decide how it will rank on ALL devices! This is a great time to go check out your blogs and sites again and make them super mobile friendly. Note: Google has been ranking mobile friendly sites higher for quite some time and penalizing sites that aren't mobile friendly. If you want great Google rankings it's now vital that you're thinking mobile.